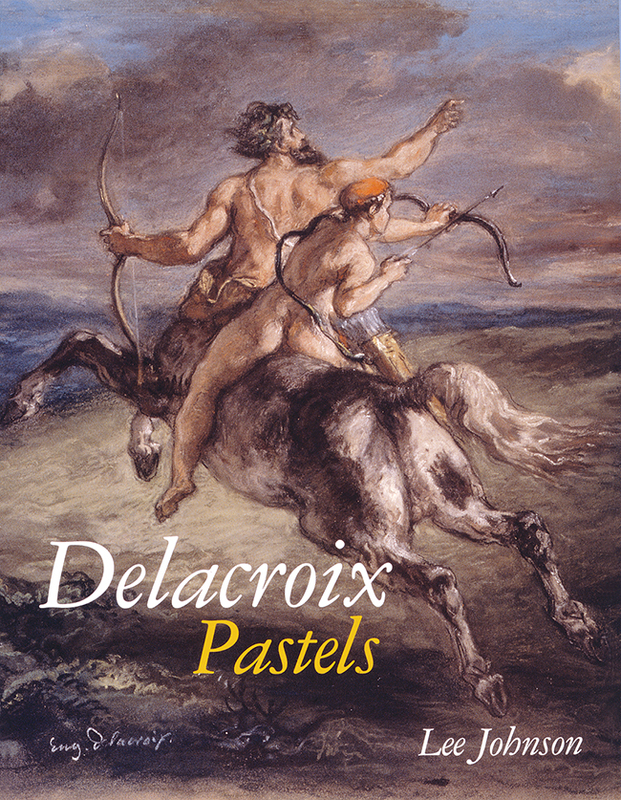 These are 60 color reproductions of Delacroix pastels. Delacroix, a leader of the French Romantic movement in painting, was also a great colorist. The pastels are too fragile to exhibit, but seen as a group, they not only provide pleasure, but also offer insight into Delacroix' work. This volume gathers together all the extant pastels of Eugene Delacroix (1798-1862), the leader of the French Romantic movement in painting, the greatest colorist and the most versatile master of the first half of the nineteenth century. These beautiful pastels, housed in collections from London to Los Angeles to Cairo, are rarely exhibited due to their fragility. Published here as a group for the first time in full color, they provide sheer visual delight as well as enormous insight into Delacroix's endlessly inventive working methods. In his comprehensive introduction, Lee Johnson discusses Delacroix's interest in the medium of pastel and its place in his oeuvre as a whole, from the first reference to the technique in one of his school exercise books through his last known pastel, a finely wrought, signed version of one of his favorite compositions, "The Education of Achilles," which he presented to George Sand in 1862. Professor Johnson then treats the pastels in groups, such as studies for paintings, scenes from literature and mythology, North African scenes, and landscapes, flowers, and sky studies; in each case, he includes a full description and provenance of the work. "Although Eugene Delacroix never exhibited his pastels and regarded them mainly as a private activity, the French Romantic artist exploited pastel for his own creative ends, producing innovative chromatic and textural effects, reveling in Oriental exotica and exploring tonalities of light and color. The 60 pastels reproduced in color in this attractive album and dating from the 1820s through the 1860s embrace the full range of his subject matter--portraits, nudes, North African scenes, tigers in the wild, nature studies, ancient Greek history, mythological and religious scenes as well as preliminary studies for The Death of Sardanapalus and Women of Algiers in Their Apartment. In contrast to his highly dramatic, often violent oils, his pastels reveal his interest in being true to nature, in mastering the structure and tints of skies, flowers, clouds, faces. Professor emeritus at the University of Toronto, Johnson provides commentaries on the plates plus an informal biographical sketch of the impulsive artist, who held a deeply pessimistic view of the human condition."